Hi friends! It’s Heather from Twin Dragonfly Designs sharing a cute watermelon craft with you today! In the midst of spring cleaning and summer planning we have been doing a whole lot of perler bead crafting! You can find these little beads just about anywhere and when you are crafting with them they tend to get everywhere!! Especially if you are crafting with energetic little boys like I am. *wink* Today we are sharing this cute Watermelon Perler Bead Key Chain craft complete with a pattern and tutorial! 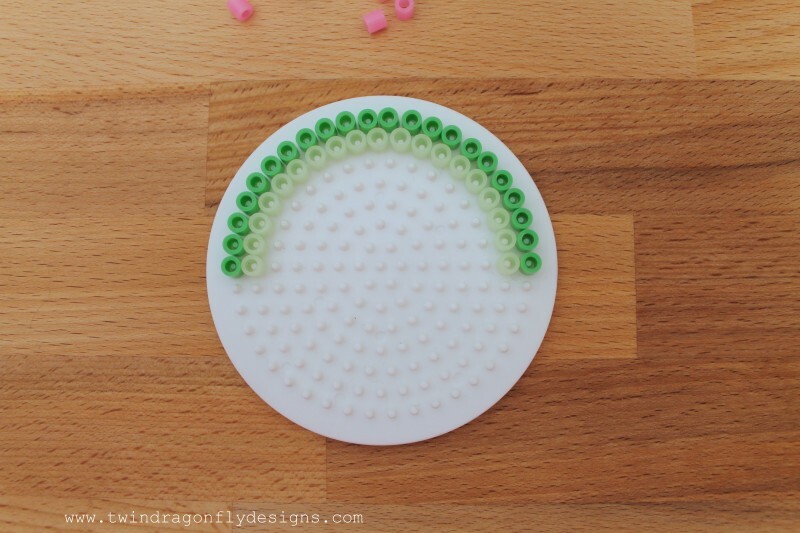 Step 1: place green beads along the outside row of the peg board creating a half circle. Step 2: line the glow-in-the-dark beads inside of the green semi circle. Step 3: place three black beads inside of the semi circle. Step 4: fill the semi circle with pink beads. Step 5: cover the beads carefully with a piece of parchment paper and us an iron to melt the beads. 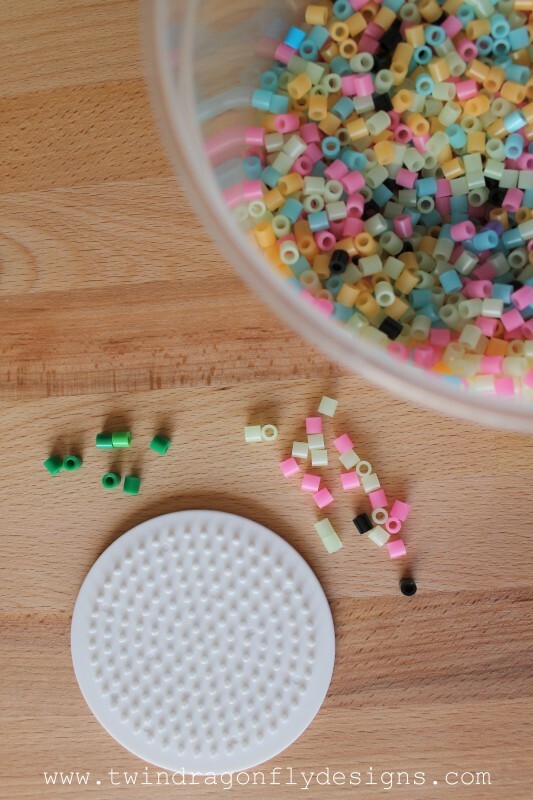 Tip: melt until the holes in the beads starts to disappear. Repeat the melting process on the other side of the project as well. Step 6: attach the jump ring to the top of the watermelon through a hole in a bead. Tip: if all of the holes are melted shut, use a needle to poke a hole. Attach a key fob to the jump ring to complete the project. This little key chain reminds me of summer time and back yard barbecues! It would be the perfect craft for an end of the school year celebration, watermelon themed party or summer camp! Confession: my favorite part is that it glows in the dark! Have you made any fun perler bead crafts?